Four antlers, two deer and one lucky hunter. That pretty much sums up my 2011 hunting season. 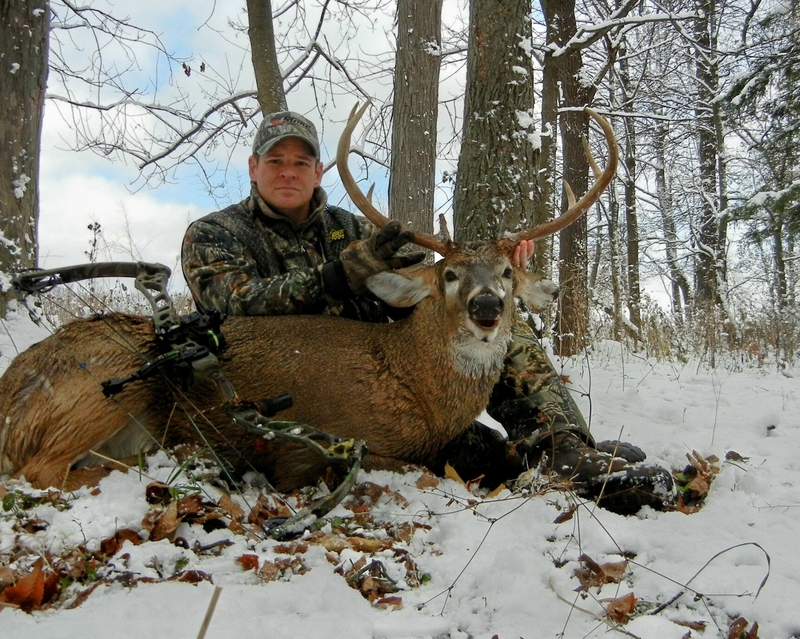 As documented here on AHT I killed a deer dubbed ‘The Ghost Buck’ on Nov. 19 with archery tackle in hand. The only history I had with the deer was a single trail camera photo – or so I thought. On Nov. 23 I tagged another hit list deer I had dubbed ‘The Shed Buck.’ I had both sets of sheds from the deer from the previous year. I was thrilled with the outcome of my season – one that I deem my best in my nearly quarter century hunting career. 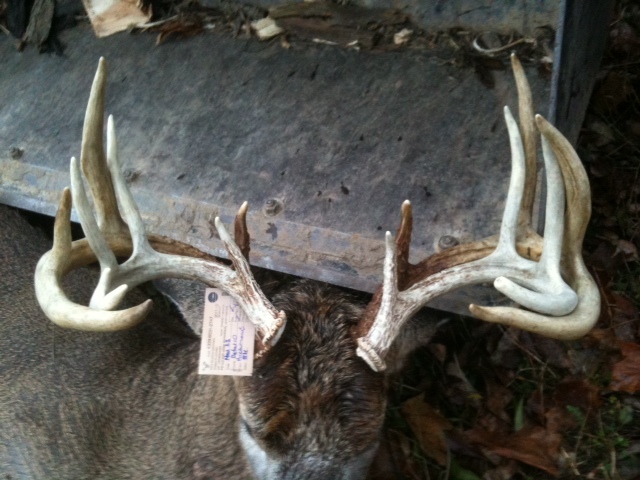 The story however got even better in early April when I picked up ‘The Ghost Buck’ from my taxidermist. After securing the buck in the trophy room and admiring him I recalled a set of sheds my then 3-year-old son and I had retrieved the previous year. 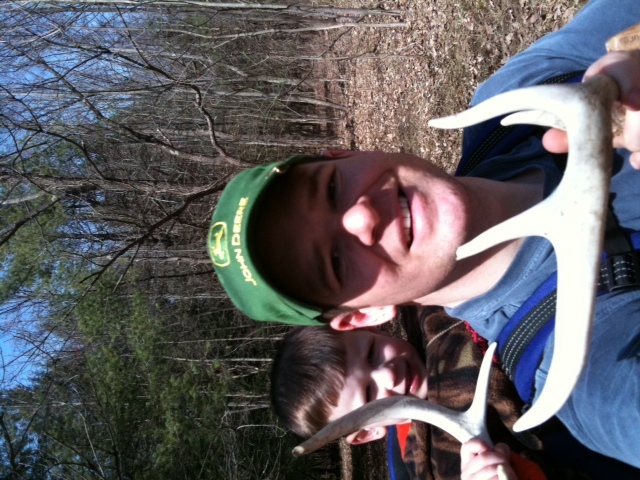 We had found the sheds just a stone throw away where I arrowed the buck. I dug through the shed pile and located the antlers in question. I held them up to the mounted animal and was amazed to see that they were a near perfect match. The deer had grown significantly, but carried the same characteristic – sweeping beams with small times, and more of them on his left side. There’s no doubt in my mind that indeed the antlers I found in 2010 are a match set to ‘The Ghost Buck.’ This discovery means I have matching sheds to both bucks I killed in 2011. You can’t ask for a more satisfying feeling in the deer hunting woods. Proof that passing young deer grows bigger deer. To say I’m tickled would be an understatement. We’ve put a lot of effort, time and money into growing deer on our properties. My accomplishments in 2011 are the result of this effort. 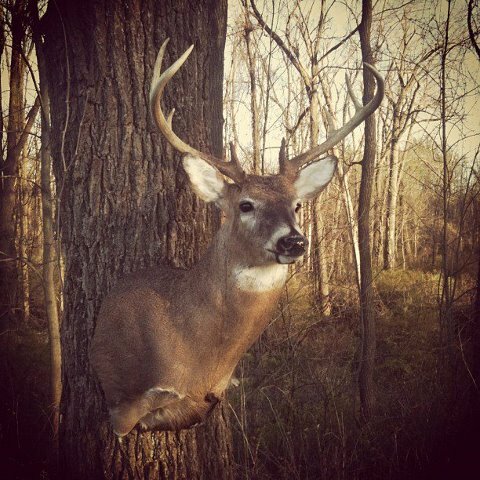 Taxidermy photos of ‘The Shed Buck’ expected in early May.